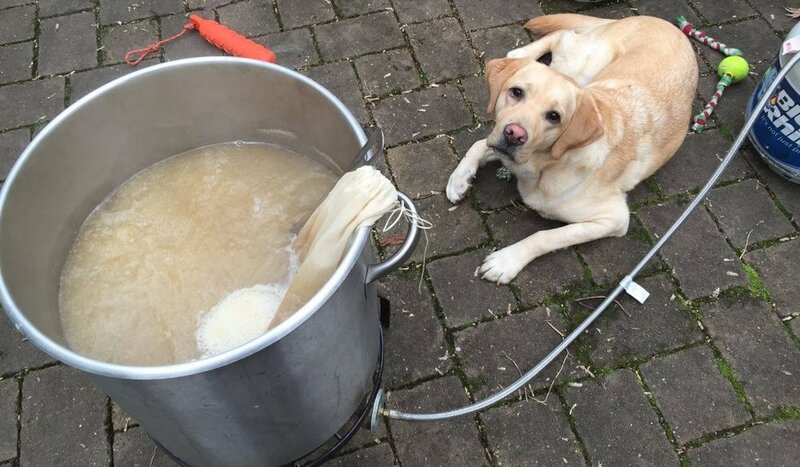 Today, May 7, is National Homebrew Day. It's even a Congressionally-recognized day, though not a bank holiday (sorry). I use this occasion to celebrate this delightful hobby, and invite you to join in. I know that for many people, homebrewing looks like a hobby for obsessives, or seems redundant in a country with 6,500 breweries. But this misses the point. One of the things that make humans a special kind of animal is our need to create. Something inside us propels us to paint, cook, write, invent, redecorate—and brew. We don’t do these things because we need new still lifes or peach pies, but because the process of creation is innate in our being. It doesn’t matter if someone else has already made the perfect saison. The goal is not the saison; it’s brewing the saison. That’s why we homebrew. I mostly keg now, but back when I bottled, I would sometimes make a few labels. This was a high-water mark, adapted from a fireworks label. Now, a few links to nurture your passion. First off, the big question for the first time homebrewer is whether to use a malt extract and skip the mashing process, or brew with a mash of malted grain. Here's a post that will help you decide. If you do decide to do all-grain brewing, you may be daunted by the expense and commitment of buying a five-gallon kit. But you don't have to! Instead, consider a test batch where you just make a gallon of beer to see how easy the process is. Even better, you can run this experiment for a mere forty bucks. Here are the complete instructions. Finally, in a few weeks time, the American Homebrewers Association will be hosting their annual conference, and it will be here in Portland. If you have any interest in homebrewing, you should consider registering, because there are a ton of fun things planned. I will be speaking at Homebrew Con, and I'd love to see you in the audience. I'll be talking about brewing to national tradition. I'll discuss what national traditions are and how they develop, and then we'll look at two traditions, the German and Belgian, and how you can incorporate the philosophies and methods into your own brewing. I think you'll find it interesting and fun.